Idea Bubble - News: Abbeyleix Manor Hotel goes live today! Abbeyleix Manor Hotel is the latest and greatest Great National Hotel to go live! 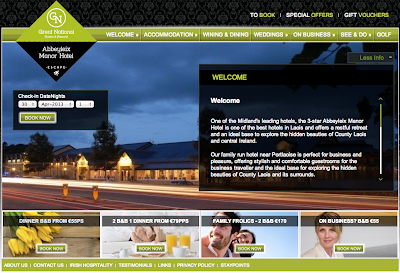 Along with a stylish template and our Website CMS Product, its also strengthening our relationship with GNH hotel group. Check out Abbeyleix on the web here!